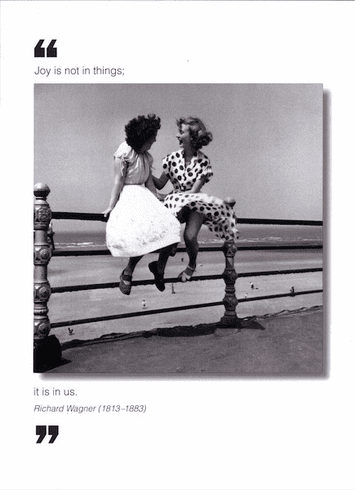 Outside: Joy is not in things; it is in us. - Richard Wagner Inside: Blank. Borealis Press card measures 5 x 7 inches. Includes envelope.